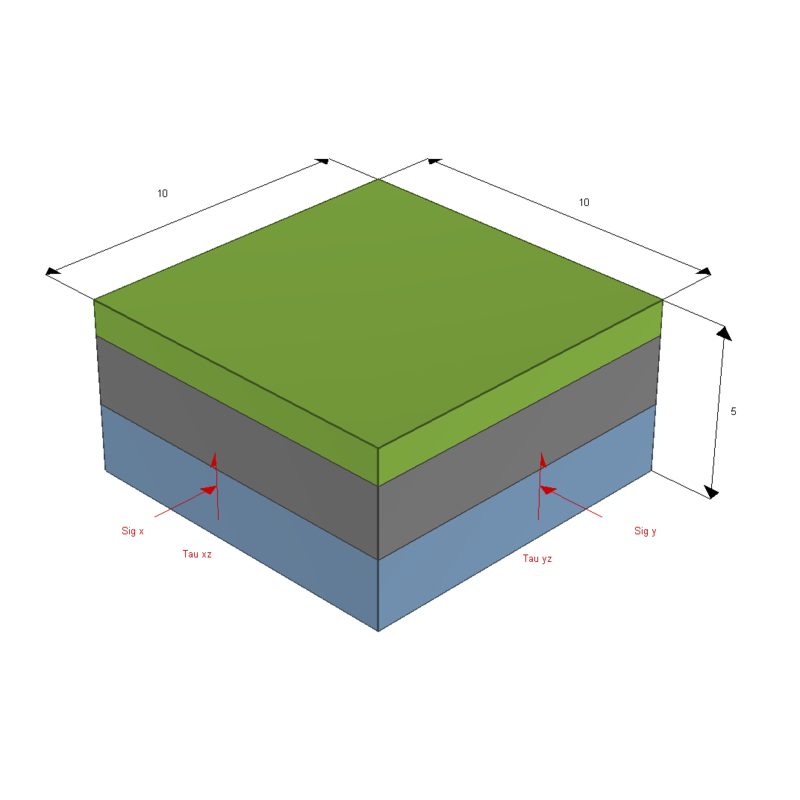 CPillar is a quick and easy-to-use tool for evaluating the stability of surface or underground crown pillars, and laminated roof beds. 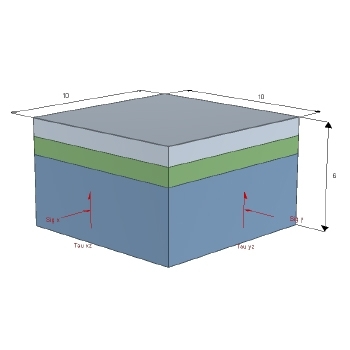 CPillar offers three different limit equilibrium analysis methods: rigid plate analysis; elastic plate analysis; and Voussoir (no tension) plate analysis. 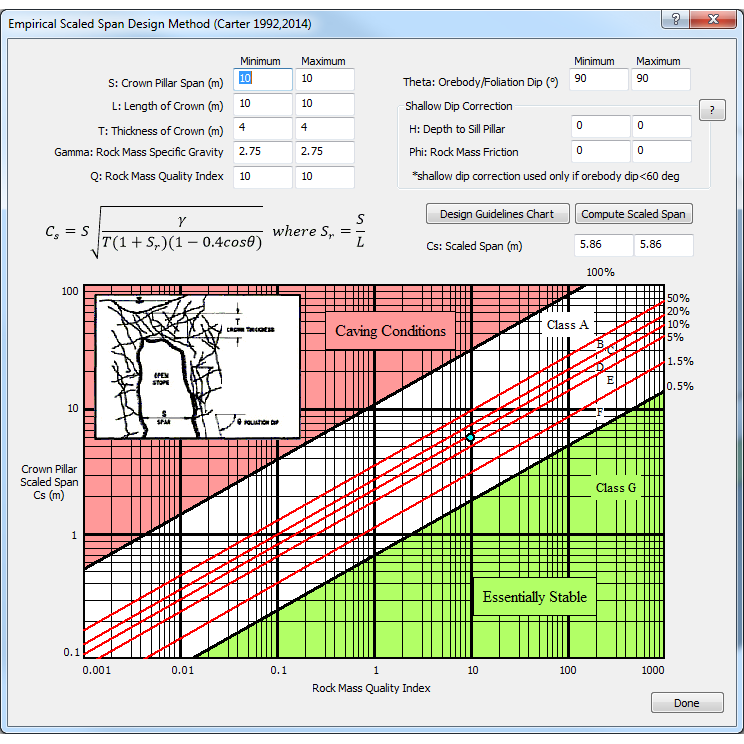 Additionally, users can choose between a Deterministic or Probabilistic analysis. Probabilistic analysis allows you to define statistical distributions of input data and calculate probability of failure. 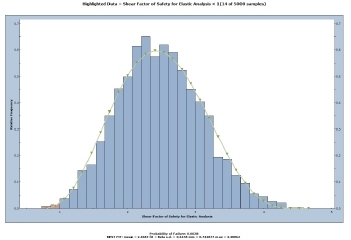 Furthermore, sensitivity analysis allows you to determine the effect of individual variables on safety factor. In a Probabilistic Analysis, statistical information can be entered to account for uncertainty in pillar dimensions, lateral stress type, and other parameters. This results in a safety factor distribution for the pillar from which a probability of failure (PF) is calculated. The general procedure for carrying out a Probabilistic Analysis with CPillar is as follows. In the Project Settings dialog you can choose the Sampling Method and Number of Samples. In order to carry out a Probabilistic Analysis, you must define one or more input parameters (e.g. pillar length, pillar width) as random variables, by assigning statistical distributions to the desired variables and entering the required statistical parameters (e.g. mean, standard deviation). If the Autocompute option is turned on, then the Probabilistic Analysis is computed when you change the input data. After the analysis is computed, the probability of failure will be displayed in the Results section of the Sidebar display. Detailed results are reported in the Info Viewer. Probabilistic input and output data can be plotted on Histogram plots, Scatter plots, etc. Data can also be exported for further analysis and processing. There are three analysis options available in CPillar: Rigid, Elastic, and Voussoir. A pillar is defined by its length, width, and thickness (height), or x, y, and z values. These are the first 3 items entered in the Geometry section of the Pillar Information for all three analysis methods. (Depending on the relative magnitudes of x, y, and z, the term pillar, beam, or plate may be most applicable. In addition, a thickness of overburden can be added above the pillar. Finally, if the height of water is greater than the (pillar + overburden) thickness, the difference will appear as free water above the pillar.